The Making of "Pro Roller Swing"
I found a motorized "lazy Susan" in the garage the other day, and asked myself, "What could I do with this?" I had just seen the movie Hugo that features the filmmaking pioneer Georges MÃ©liÃ¨s. One of Georges' favorite tricks in the old days was to stop the camera, change the scene, the start filming again. This created the illusion of things appearing and disappearing. The set for recording Pro Roller Swing. I thought that it would be fun to honor the work of this early filmmaker, use the motorized lazy Susan, and check-off an assignment request from a client... all at the same time. So I set up the shooting room to make this short, fun movie. I used natural window light with a large white fill card for the lighting. I added a bit of sparkle to the bag using a small LED panel on a boom. 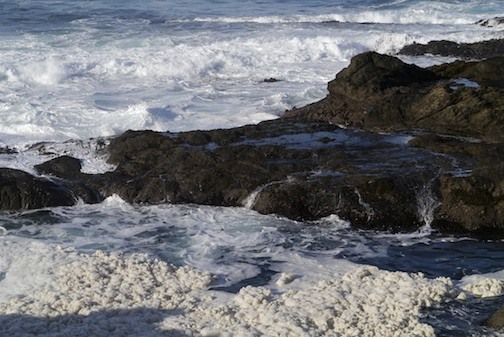 I recorded the footage with a Canon 60D and the 16-35mm f/2.8 L zoom. I edited the movie in Final Cut Pro X. The royalty free music was created by Kevin MacLeod. I decided to keep that lazy Susan in the studio for now, instead of the garage. Who knows what else I'll think of to do with it? This field report, including photos, is contributed by TDS member, Ed Shields. I also took a look at the GX1 while at CES, and enjoyed testing it in the short time I had with it. I'll talk more about that in the comments of this article. 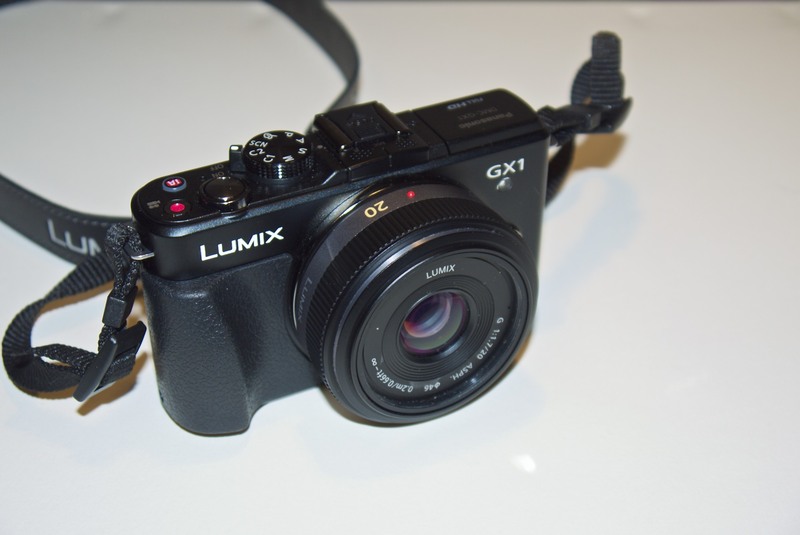 As one would expect, the Panasonic Lumix DMC-GX1 is very identifiable as belonging to the Lumix line of cameras -- a comfortable, solid feel in the hand, solid feeling dials, control wheel, and buttons for the many external controls. And to me, a very intuitive menu system. I feel that even if one didn't have previous experience with a Lumix camera, one could easily pick it up and use it without reading the manual. Most likely due to size and form factor, the similarity of the external controls are closer between the GX1 and the LX5 than with the G1. One thing I really appreciate is the fact that the main control dial only has a single icon for jpg scene mode vs the G1's and and my 60D's cluttered practice of squeezing 150 different scene mode icons onto the mode dial. Some early reviewers have faulted the metal 4-way controller buttons as being largely unreadable. My aging eyes are no longer good enough for manual focus, but I don't have any problem reading them in all but the dimmest, almost dark, light. Because Aperture 3 does not yet support RAW conversion for the GX1 (as of Jan. 2012), I shot everything with RAW+JPG and imported the JPGs into Aperture. I don't shoot high speed action photography, so I don't normally shoot JPG. I wasn't really expecting stellar performance with the GX1, especially since everything I've read or seen about the Olympus PEN cameras having such great OOC (out of camera) JPGs. What I got out of the Lumix was just so-so at best. I felt they were a bit soft and flat. I suppose one could tweak the GX1 settings to increase sharpness and saturation to get better results, but I didn't go there as I discovered that on the Adobe Labs site they had a release candidate LR3 update that supports the GX1 RAW conversion. So I downloaded it and imported both JPGs and RAW images into LR3. Nice! With only a minor boost in Clarity/Definition and Vibrance to about 18-20 and a slight nudge of sharpness from LR's default 25 to about 28 or so the image quality was excellent. If one sets these as a camera specific import adjustment it would be all that is needed for many grab images and an excellent starting point for those images where one desires local adjustments and further artistic expression. One caveat, I haven't printed anything yet, but I have no reason to expect anything less than excellent print quality for 11 x 14 or 16 x 19 inch prints. One thing I did discover after comparing the LR3 RAW to JPG images is that rather than the JPGs universally being somewhat soft and flat, I feel they're more inconsistent. Take a look at the images below. 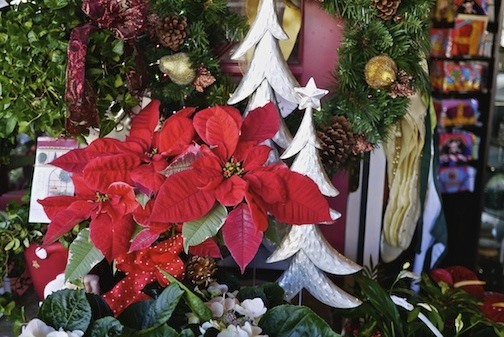 There's a clear difference between the RAW and JPG in the Poinsettia images. Out of Camera Jpeg from the GX1. Processed RAW file from the GX1. In this ocean image I don't see much difference between the RAW and JPG. If anything, I like the JPG better and need to go back and lighten the shadows in the RAW image. Its inconsistency is the same with others, hence my opinion that OOC JPGs are inconsistent vs. a bit soft and flat. But the RAW images all are consistent and excellent. 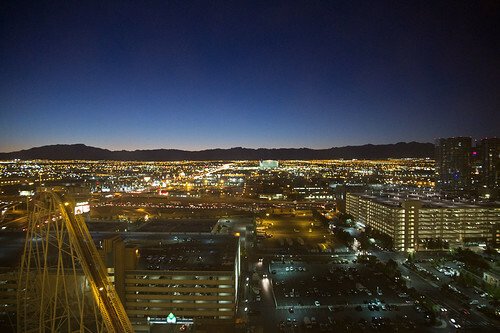 There are more images on my Flickr site -- all processed as RAW in LR3. I purchased the GX1 with the non-powered 14-42mm zoom lens as I'm generally not a fan of power zoom lenses (I have my LX5 zoom programmed to discrete focal length increments, and with my S90, I have the lens ring set the same way, which isn't too bad). But the GX1 kit 14-42mm zoom is nowhere near the quality of the older 14-45mm kit zoom that came with my G1. Besides looking and feeling rather cheap, zooming with it is more akin to turning a rusty faucet rather than a lens zoom ring. I know that's an exaggeration, but you get the point. It's quickly been relegated to the back shelf of my closet until it's time to sell my G1. Except for a few early images, all the rest were shot with either the older 14-45mm zoom or the 20mm pancake lens. Except for one area, I find the handling and control of the GX1 excellent, very straight forward, and intuitive -- with external wheels, knobs or buttons for most functions. There are two configurable Fn buttons but I haven't had the chance to explore them yet. The generous hand grip is a pleasure to use. The only real con I've discovered is that the rear thumb grip is rather small and too close to the rear control wheel. My hands are only medium size at best, but my natural grip covers both the thumb grip and thumb wheel, which when depressed, toggles between aperture or shutter speed and exposure compensation. I need to develop the muscle memory to keep my thumb away from the wheel and in the meantime make frequent checks that I haven't accidentally changed something. Although the 14-45mm is well balanced and not over powering for the GX1, it definitely loses a "nimbilosity" star. I can comfortably walk around all day with it hanging from a neck strap, but it's a bit large, for say, putting on the table when going out to dinner. The 20mm pancake is much better, but not wide enough for my liking. I've already ordered the pancake 14mm pancake, which I suspect will live on the camera with the 20mm in my pocket. When available, the 14-42mm power zoom might be an option that would provide a bit more flexibility and still maintain a 4 star "nimbilosity" rating (assuming the S90, 95 and 100 are the 5 star standard). I briefly tried the touch screen. My feeling is that touch focusing could be real useful when the camera was on a tripod. But having it on for general use is a pain, unless one turns the camera off after each shot. The problem is that while on a neck strap the constant hitting movement and handling causes the camera to constantly change focus location, or worse if one has full touch screen activated but aperture and exposure compensation settings as well. For me it's infinitely easier to center focus and recompose. As with my other Lumix cameras, I find auto white balance to be fine in just about any light other than low light where flash is required. It's almost always fine as is but if a post processing adjustment is required, it's only a minor tweak one and that more often than not for personal artistic preference. Speaking of flash, the built in flash is for minor fill flash at best as witnessed by several of my Flickr photos. Initially, I thought exposure was spot on, unlike my G1 or LX5 that consistently need a -1/3 compensation adjustment. However when I view the GX1 files in LR3 or AP3 they also seem to be overexposed by 1/3, the difference being that the GX1 LCD histogram doesn't necessarily show this. I haven't done any precise testing, but in general use the battery feels to be noticeably less robust compared to either of my other Lumix cameras. This is just an observation I have by viewing the remaining battery indicator at the end of a day's shooting. Overall I'm very satisfied with the GX1. It feels great in the hand, has lots of external controls, an intuitive menu system, and excellent RAW image quality (albeit JPG just so-so). Overall I'd rate it at least 4.5 stars (out of 5). Nimbilosity is probably quite different for different people, especially considering where they are starting from, but with any pancake lens it's a solid 4 star for me (deduct at least a 1/2 star with the 14-45 non-powered zoom). For traveling both the GX1 with the 14-45mm zoom and 20mm pancake, plus the LX5, and the chargers -- all fit nicely in my Lowepro Nova 160 AW. As I mentioned previously, I've already ordered the 14mm pancake, which will probably live on the camera with the 20mm in my pocket. 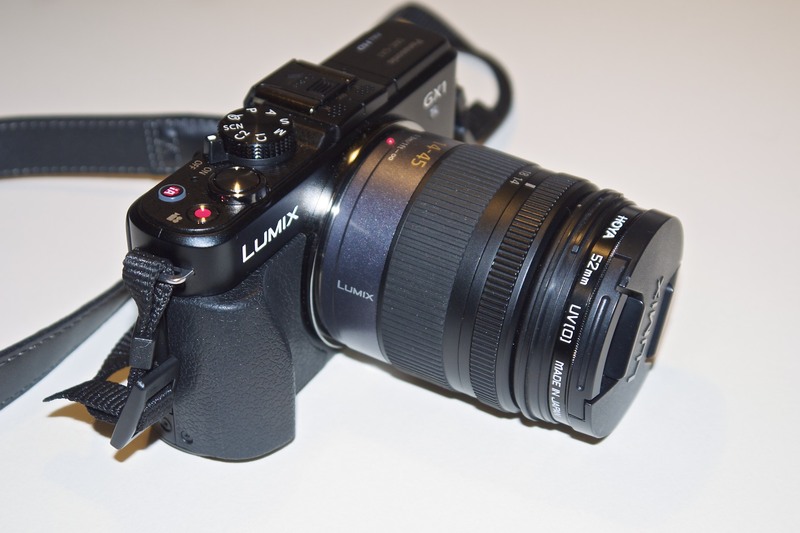 When readily available, and depending on the reviews, the new 14-42mm power zoom may be a nice option. But for me, I want to upgrade my G1 to a GH2(3?) before my wife and I go to Peru later this summer. So budget wise, the zoom upgrade is probably way down the road. Is it a perfect camera? No. For me a perfect camera would have the GX1 form factor and price with in-body stabilization and a tilt LCD (like the the Sony Nex 7). When I get the 14mm, and as I continue to use this camera, I'll shoot Derrick an quick update if I uncover anything substantially different from this review. When you watch people and technology collide, have your camera ready. It's a playing field for interesting photography. As expected, 3D was a major theme at the 2012 show. Here, however, an attendee is having a personal experience. Sony personal 3D viewing experience. And how our backs get tired during the long days on the trade show floor. 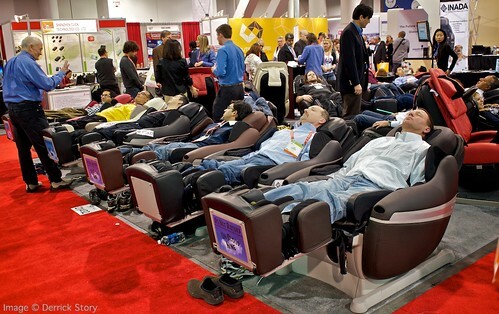 Fortunately, Inada was there with high-tech massage chairs for all. There's more in my Flickr set titled Wonderful, Fascinating CES, including a portrait of Rohan Marley, Short White Skirts, and a solar charging station for mobile phones. 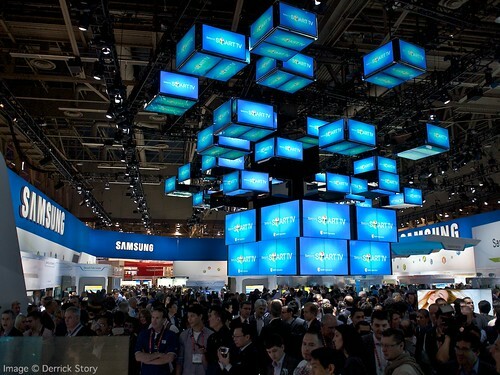 The question that surfaces in nearly every conversation here at CES is, "Have you seen the Samsung booth?" Not only is it amazing in terms of design and dazzle, but looking at the contents there, it's clear that this company has become a major force in the technology world. In my normal life, I hear mostly about this Korean giant in terms of their cameras, such as the Samsung NX10 APS-C camera system, or about the battle with Apple in the smart phone arena. Their latest Samsung Galaxy S II 4G Android Phone is a good example of their excellent hardware. 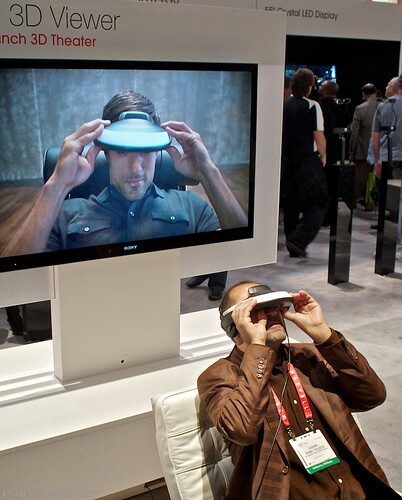 But when you enter the booth at CES, you see so much more -- super thin OLED big screen TVs, 3D cinema quality Internet connected TVs, a plethora of digital devices, and a whole lot of people interested in them. 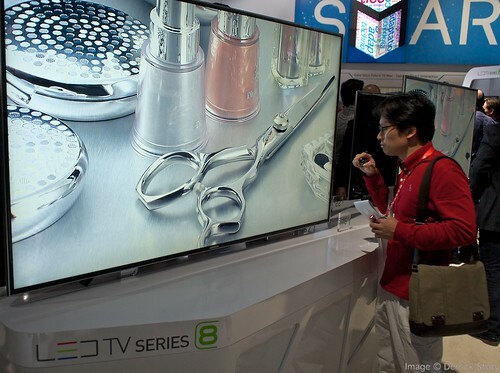 Samsung LED TV Series 8 with stunning picture quality. It's clear that Samsung is a driven company. Competitors beware. You'd be surprised at what you can discover at an electronics event. For example, in the North Hall at CES there's an entire car show featuring vehicles of the future, exotic audio systems for today's cars, and high tech goodies to enhance your driving experience. One of my favorites of the day was the Audi Urban Concept -- an all-electric, carbon fiber beauty designed for city life. 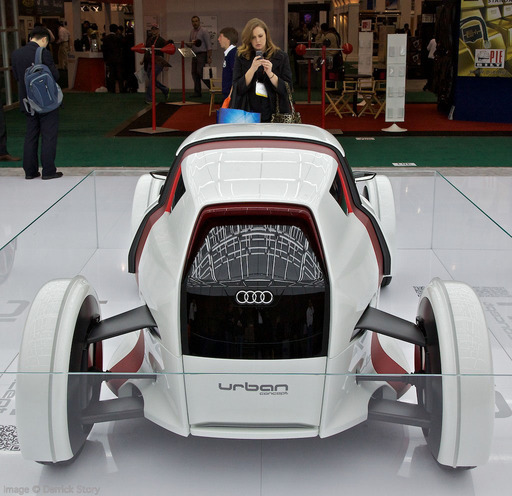 Audi Urban Concept Electric Car. Photo by Derrick Story. This two-seater was first unveiled at the 2011 Frankfurt Auto Show. Fortunately for us, Audi shipped it over the US for our enjoyment. And like many things at this trade show, the future is closer than we often think. The Urban Concept may go into production as early as 2013. The Nimble Photographer takes to the air! Here's the challenge: I'm flying to Las Vegas to cover the CES event, but I'm using my local airport with those very small planes operated by Alaska Airlines. I need to carry-on my clothes and my gear. And once I return on Friday, I have to drive directly to another appointment. No time to check bags. So, this week, I talk about how to travel very light, stay nimble, and yet have the equipment I need to fulfill my paid assignment. Tune-in to see if I pull this off. 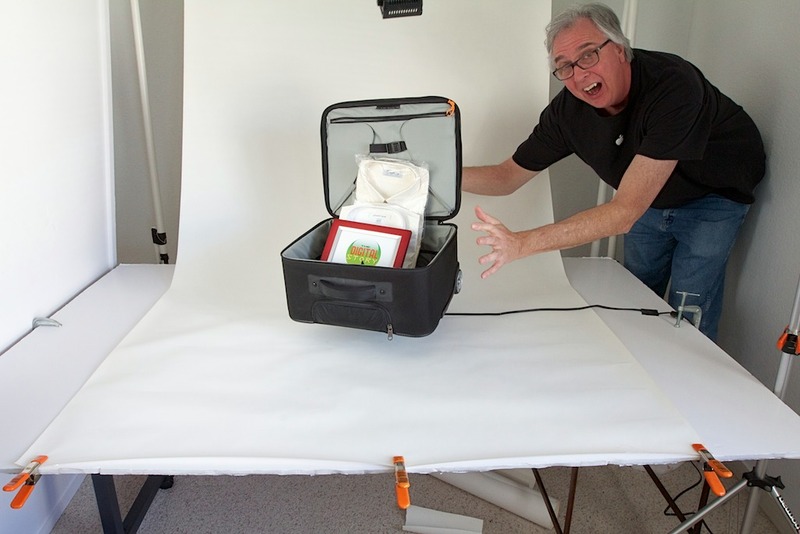 The roller bag I mention in the show is the Lowepro Pro Roller Lite 150 AW for the camera gear during transport. I also am using the Lowepro Pro Messenger 200 AW soft bag for my clothes in-flight, then as my carry around camera bag in Las Vegas. 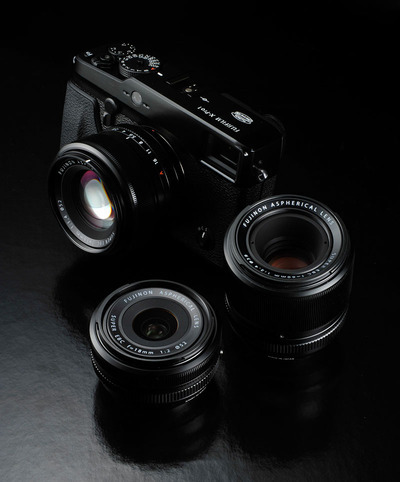 FujiFilm announced the Fujifilm X-Pro1, and it's exactly what many of us were hoping for. The beautiful styling of the X10 combined with the brains of the X100... and with interchangeable, wide aperture prime lenses. Quite honestly, this company is wearing down my resistance. 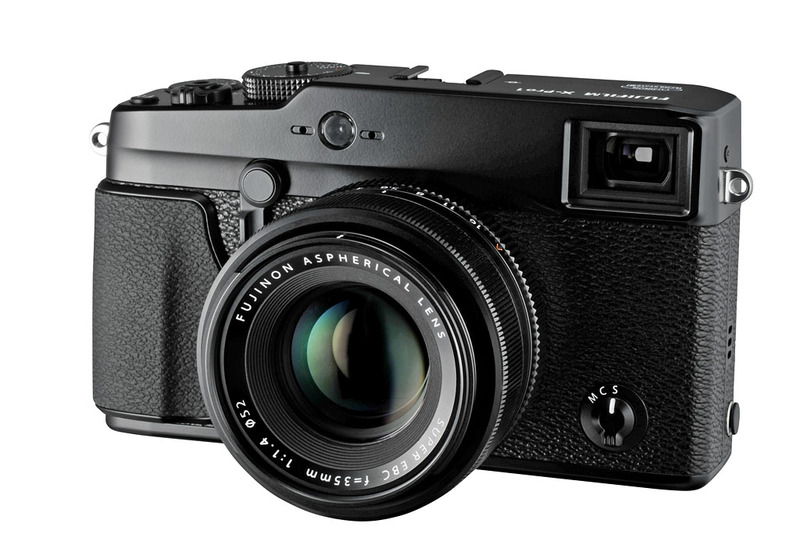 When I saw the X100 at Photokina, I immediately wanted to shoot with it. But I was able to argue with myself that the fixed mount lens was too limiting at that price. Then they rolled out the X10. Again, those feelings of desire surfaced. But I already had a terrific compact system camera with fast prime lenses. So I was able to look the other way saying that the X10 was a high end point and shoot. But now... it's going to be tough to pass on the X-Pro1. 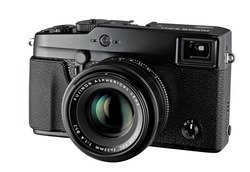 At its heart, the X-Pro1 features a Fujifilm-designed 16MP APS-C X-Trans CMOS sensor. It includes that wonderful hybrid optical/electronic viewfinder from the X100. And they've rolled out three prime lenses with launch: XF 18mm f/2 R, XF 35mm f/1.4 R, and XF 60mm f/2.4 R Macro. Once this system hits the streets, which should be soon, the body is estimated to sell for around $1,700 US, with lenses going for around $600 each. More lenses are planned for the future. Now, what's my excuse going to be this time? Canon G1 X - Who Needs Interchangeable Lenses on Large Sensor Compact? The 1.5" CMOS sensor is larger than the sensors found in micro four thirds, Nikon 1, and FujiFilm's X10. It's a tad smaller, however, than APS-C that used in Sony's NEX line of CSCs. 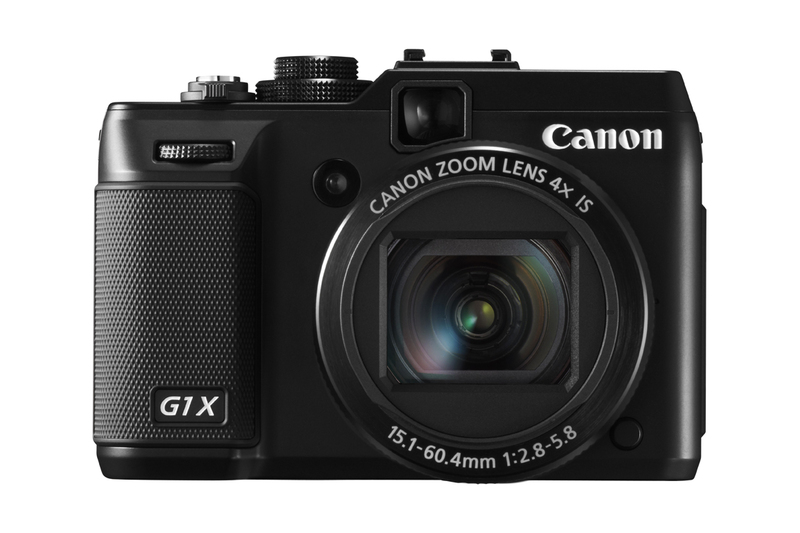 Basically what Canon is saying with the G1 X is this: if you want a big sensor in a small package, but don't want to mess with interchangeable lenses, we've got the camera for you. So for the estimated street price of $799, you're done. We'll see how the market responds to this proposition when the camera starts shipping in February. Off-Camera Flash Workshop - Join Us! How would you like to sharpen your off-camera flash skills (and have a blast while doing so)? Coming this February, I'm conducting a two-day workshop (Feb. 25 & 26) that focuses on improving our lighting skills -- for both portraits and objects. Multiple exposure portrait using a single off-camera flash. This two-day event at TDS Headquarters flows like this. 2:30 pm - Classroom session on editing product photography. Lunches, model fees, and instruction and included in the $495 price. The studio is a great place to work, featuring classroom area, shooting room, full kitchen, two restrooms, WiFi, and parking. Plus, you're in the heart of Sonoma Wine Country with its vibrant agriculture, rugged coastline, and towering Redwood trees. If you want to join us for this event, just go to the Send Me Info box half way down on the TDS Workshops page. I'll get a reservation form to you right away. And if you have any questions, I'd be happy to answer them too. If you want to improve your lighting skills, spend time interacting with other photographers, and immerse in the craft that you love so much, join us in February!